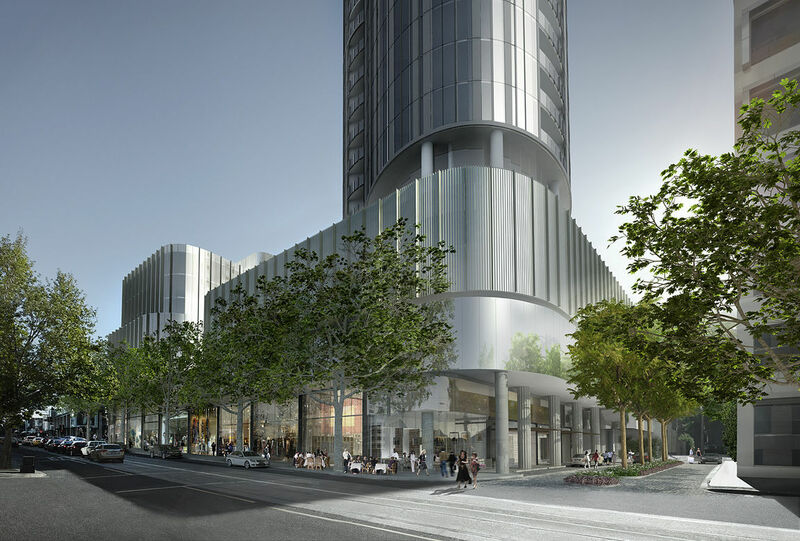 Located within the rapidly evolving Forrest Hill precinct the project has been designed as a gateway development and an iconic landmark for the area, with an increase in height from 41-storeys to 58-storeys. As a result a subsequent refinement was undertaken resulting in more fluid forms articulated as a series of flowing horizontal ribbons across both masses before becoming more solid with an almost gill-like expression running up the face of the tallest tower. 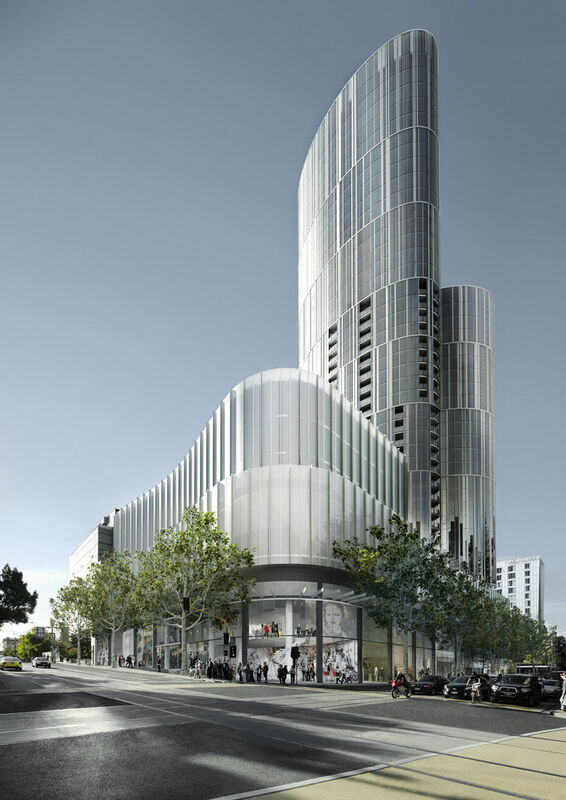 There is an opportunity to bring the energy and curves created in the retail experience to the facade/balcony expression of the Toorak Road building. The removal of the return in plan with the intention to improve views and increase the separation between the two towers. An increase of the floorplate width of 1.5m while still maintaining a 20m separation from the Chapel Street tower. The tower now presents as three ellipses not unlike Bates Smart's Queensbridge Tower proposal but with a tapering in mass as the tower rises, becoming increasingly slender towards its summit. This results in a more dynamic skyline silhouette than the previous scheme which presented as a uniform mass. One of the key changes is the reduction of the building mass at street level with an aim towards greatly improving the pedestrian experience. We investigated an architectural language that creates a more distinctive sculptural object that celebrates the beauty of form and geometry. A form that might allow gradual slimming of the tower to create a unique landmark that has authenticity and identity. It would be an iconic contemporary destination in South Yarra. We tested the form of the tower to create a softer, more crafted quality which is in keeping with the new retail concept. According to the planning application the retail has been peeled back to allow the street to extend into the heart of the retail podium with a welcoming entry to Chapel Street. Just how high is considered too high? 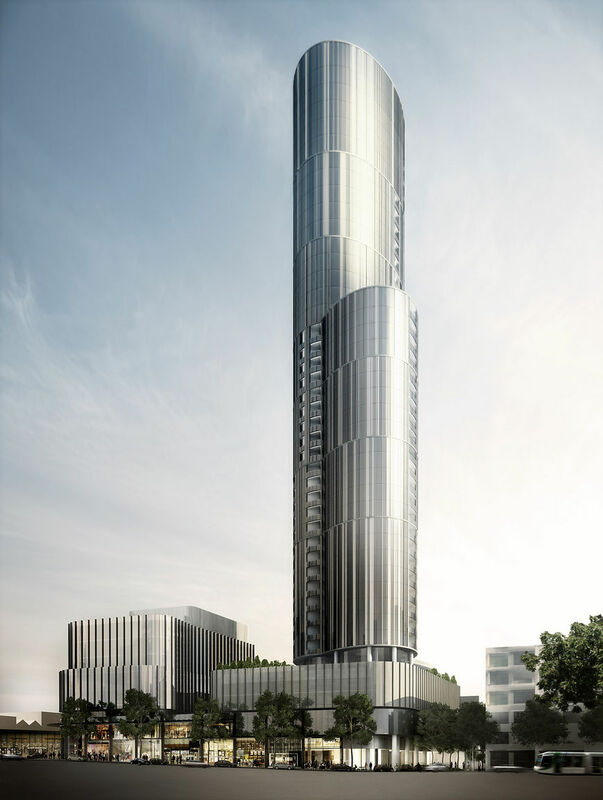 At 193m to LMR The Capitol development would easily surpass Royal Domain Towers on St Kilda road as the tallest high-rise outside of the Melbourne CBD/Southbank and provide a visual landmark and focal point to the South Yarra skyline. 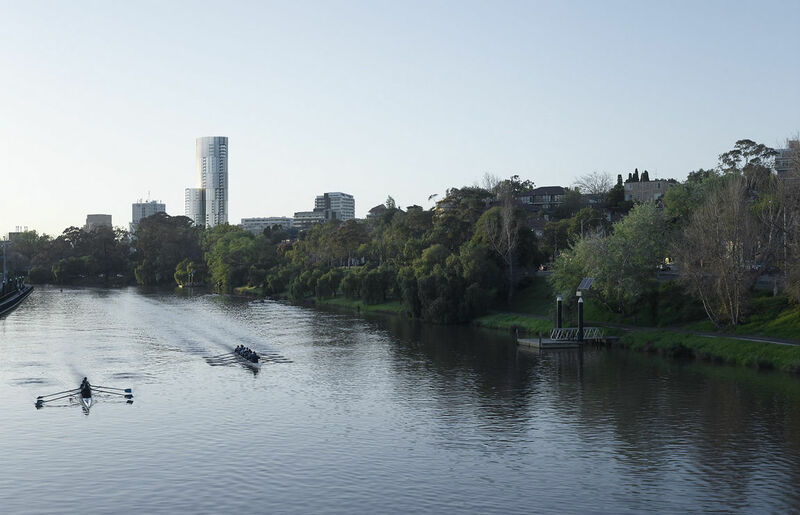 It would also set a precedent for more towers of similar height and scale particularly if it can be argued that South Yarra as part of the Plan Melbourne blueprint must facilitate the expected influx of residents to Melbourne via concentrated high-rise development. 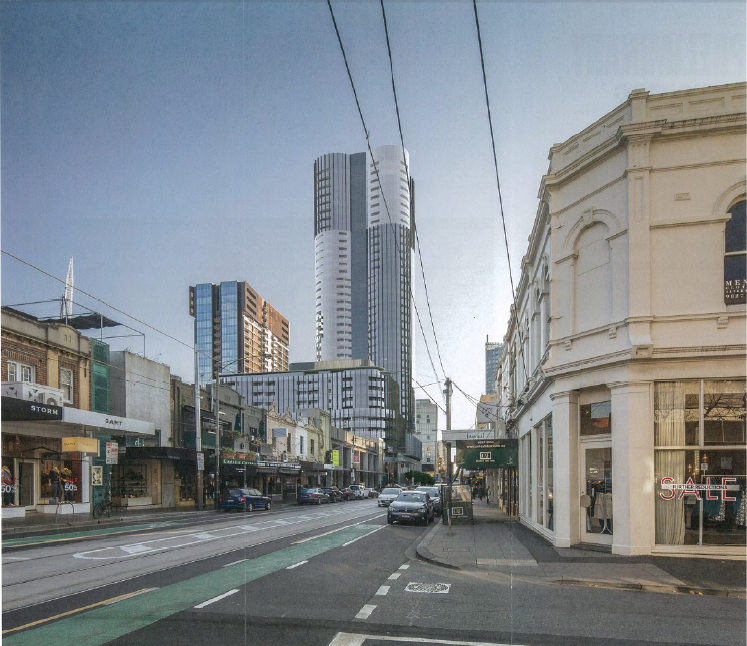 Height in particular shouldn't be the core reason for a development's refusal unless it comes at the detriment to the amenity of the street and pedestrian particularly along busy retail strips such as Toorak Road and Chapel Streets. The planning report indicates that "sunlight penetration to footpaths and public open spaces is maintained as per the approved scheme, with cut-outs at the podium level (Level 1) ensuring solar access through to the retail levels below." I don't believe I'm alone in suggesting that this could prove to be a game changer for the way activity centres such as South Yarra develop and Urban Melbourne will no doubt be keeping a close eye on the planning process. A slideshow of earlier schemes is included below. Join the discussion of The Capitol in the forum. Excellent project, and glad to see height like that. South Yarra should be the new Chatswood. Was that sarcasm? Didn't work for me. I regard Chatswood as a paragon of what is possible in Australia. Sydney has got the urban development puzzle mostly sorted - get major urban sites on rail, build them up and up. The only rational reason for restricting high rise development is insufficient road and rail capacity to move them, a problem neither Chatswood nor South Yarra face. For what its worth, the last of these photos, by Upwards on SSC espouses true beauty. Hong Kong. Melbourne High's fields could have done this too, just needed more height. Sydney is confidently embracing its future large population, building the underground rail network it needs, getting more height happening, diversifying its population. Melbourne should learn from that. So the debate is about beauty for you, Riccardo? I think we are at least partially arguing for the same thing, then - a well planned, dense city with aesthetic qualities that increase the pleasure of living within it for residents and visitors alike. It seems that you are just as concerned with these issues as the heritage advocates you seem to be opposed to, no? Of course I like a beautiful streetscape or skyline. One of the true beauties of that Chatswood photo is that the government owns the sports field in the foreground, didn't force its retention on an unwilling private owner, unlike heritage laws. Is a great link to look at too about St Leonards. Willoughby is as Booroondara or Stonnington as you will ever find in Sydney, and they have sensibly decided not to have the debate about whether to have height in their urban cores, only how high. Melbourne has much to learn, that you can do your best to relieve pressure on the leafy backstreets if you divert developers attention to the rundown, expired and very accessible main roads and railways. All the oppose everything school of NIMBYism does is predictably bring the Minister, and his department more importantly, down upon you. And if they don't get you VCAT will. Councils need to be a lot more accepting of steering good high density development their way, they might be better able to engage them in the aesthetics if they are not fighting every step of the way. Also the main tower seems to rise practically straight from the footbath, with very little setback, so it will be very visually dominant. 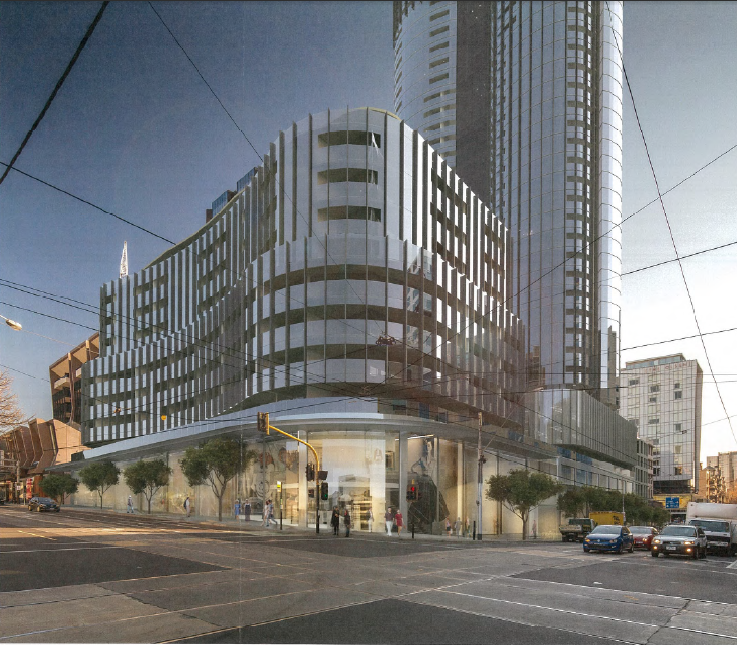 A pair of slimmer towers setback from the street, same height or taller, would fix those problems. 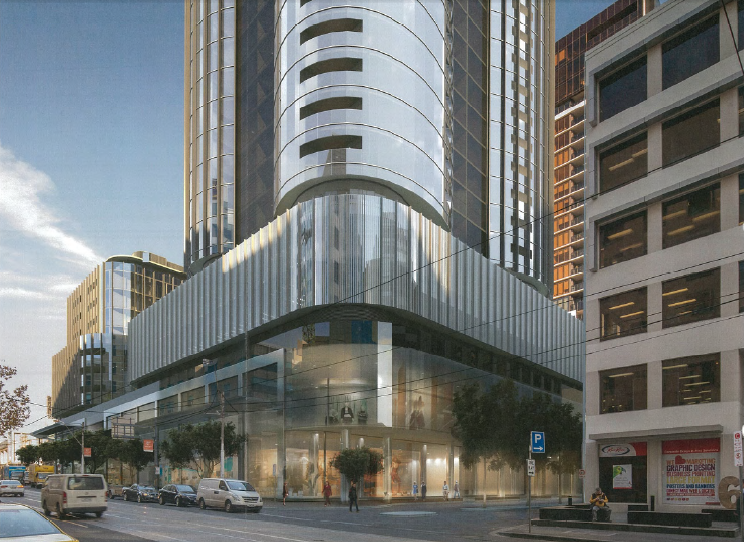 There is a big issue in melbourne with taller buildings on the north side of the east/west shopping street in the inner / middle rings. Even six storeys straight up means the southern footpath is dark all year, but sadly theres no over-arching regulation dealing with this issue. Im not saying never taller than five, but three or four max on street then upper level setbacks would help, and certainly striaght up developments should not be too wide (not sure how wide is too wide but that glaxosmithkline at the end of johnston street abbotsford is too wide in my opinion) and there shouldnt be rows of them, all straight up and overshadowy. Does anyone feel that it looks like Aurora Melbourne Central?